Pizza at Sakiko’s. home-made dough by Sakiko, half and half pizza. 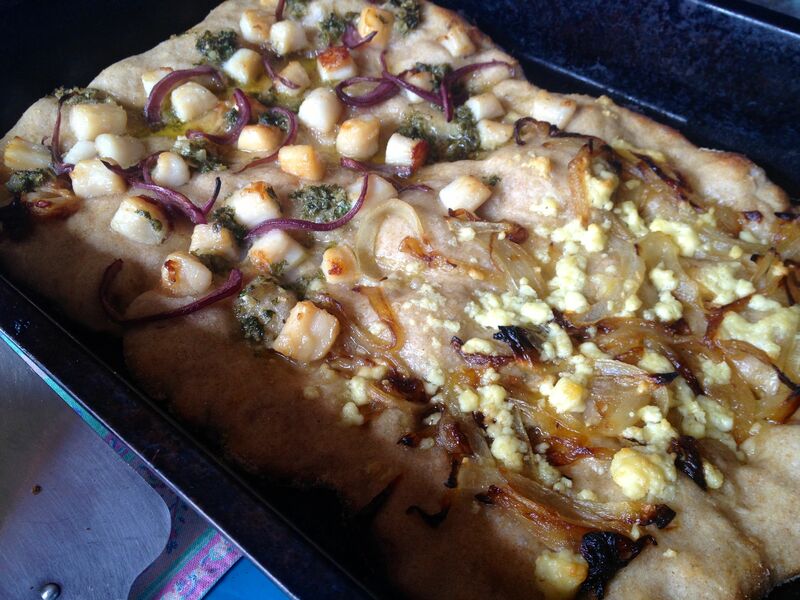 One half: bay scallop,s red onions, salsa verde; Other half, carmy onions and feta cheese. 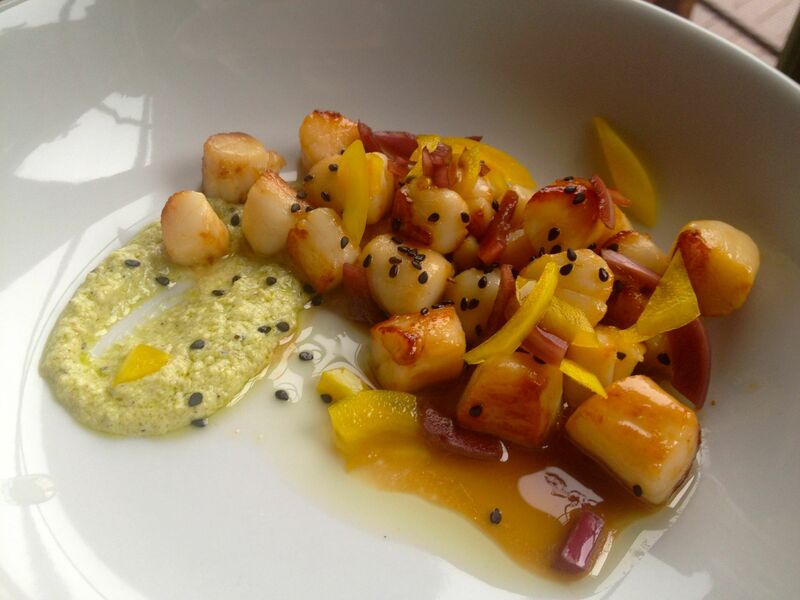 Bay Scallop lunch, with lime, turmeric pickled yellow onions, red-wine pickled red onions, shishito pepper yogurt sauce, toasted black sesame seeds. 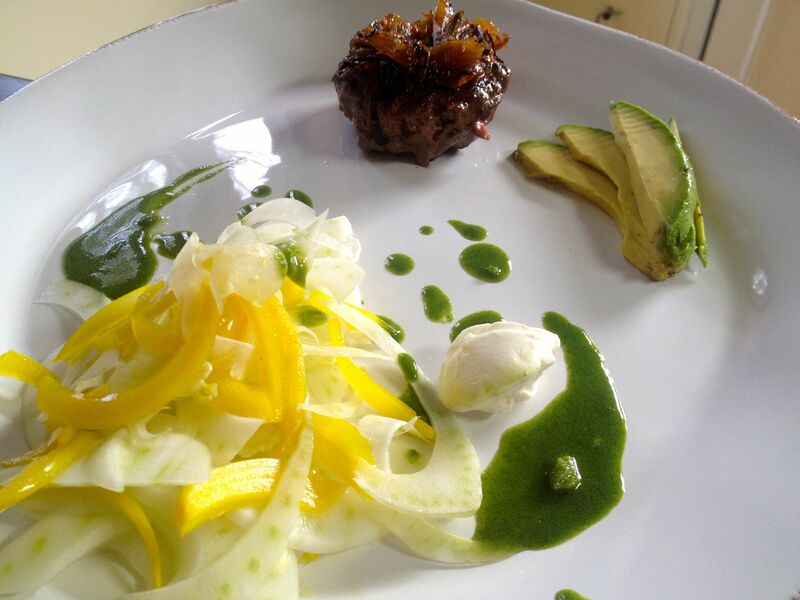 Blackwater farm beef burger, rosemary-caramelized onions, fennel and pickled yellow onion salad, nettle sauce and a dollop of strained mermaid-farm yogurt. 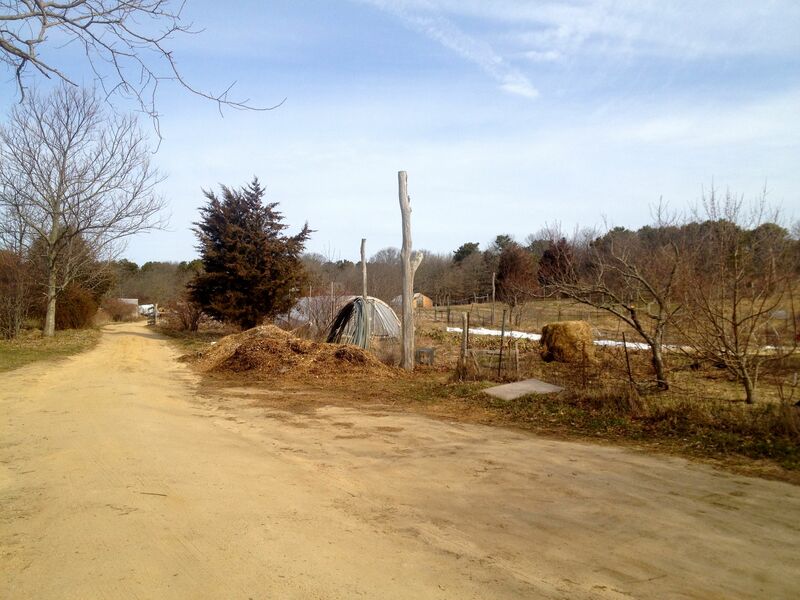 seeing farms at this time of year makes me stand there amazed about the productive season that is around the corner. Life goes on, all year long, and then BOOM summer hits and it explodes! 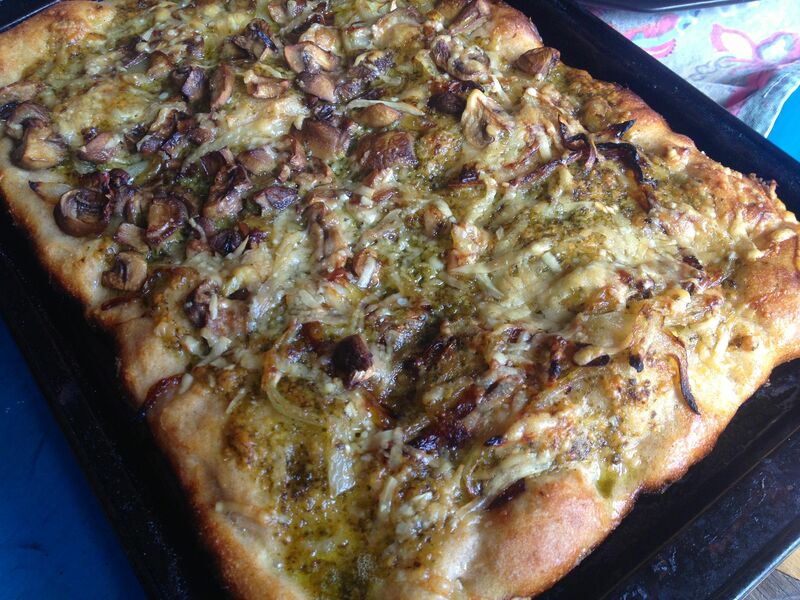 Pesto, mushroom, cheese, carmy onions on pizza, made by Sakiko’s son! 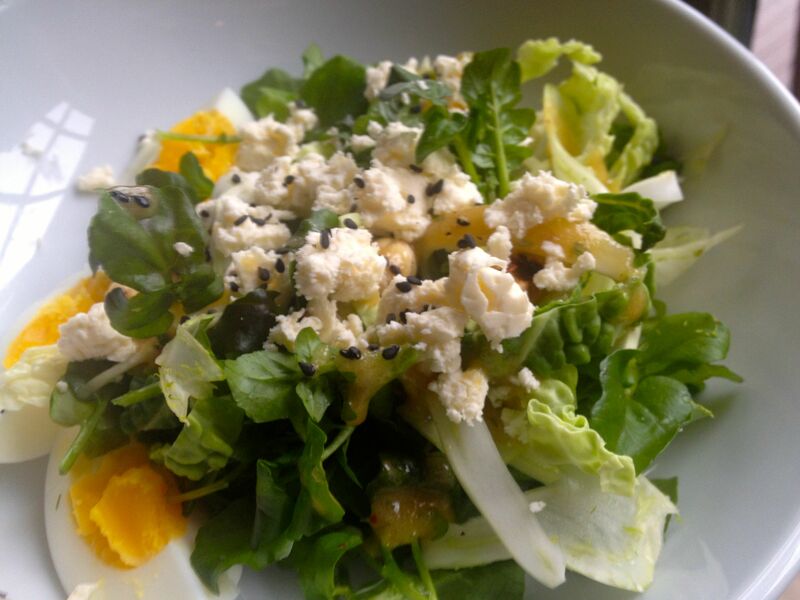 foraged watercress (kevin brennan), cabbage, fennel salad, with Mermaid Farm feta, toasted black sesame seeds, harbored eggs from Green Island and Blackwater farms, toasted hazelnuts and thyme-apple cider vinegar dressing, made with island apples.